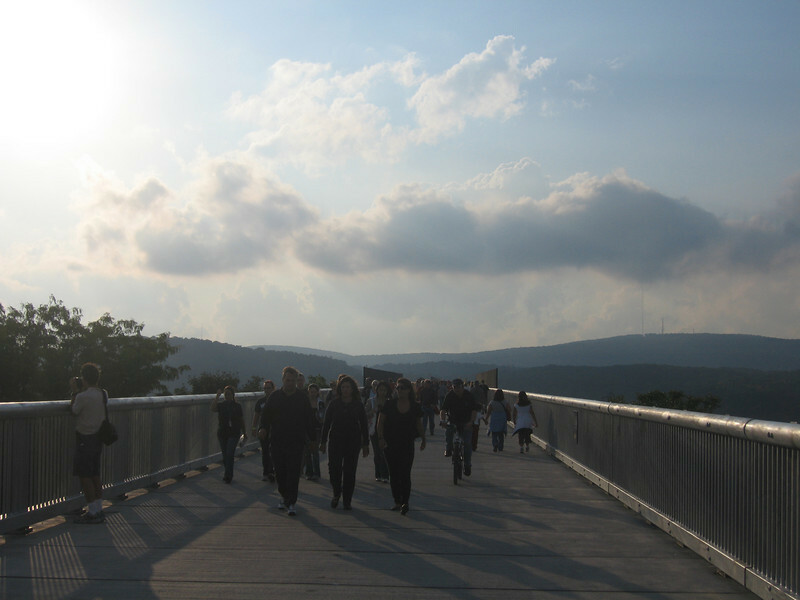 The Walkway Over The Hudson is an amazing thing. A 1.3 mile bridge that spans the Hudson River here in Poughkeepsie, which just opened this past weekend after decades of effort. We were lucky enough to participate in the lighting ceremony on Friday night, which involved sending up these Sky Lanterns. Yes, they are powered by fire, which makes them even more awesome. If you live anywhere near Poughkeepsie, you really owe it to yourself to come check the walkway out. The scale of the thing is so different than anything you’ve been on before that it doesn’t really feel like a bridge (at least not to me), but more of a mythical sky way. I’ve got a bunch of other photos up at my smugmug site, take a look if you are interested in the walkway.